No, not coyote – chayote. It’s a kind of squash. After the nopale pads, I decided to try chayote. 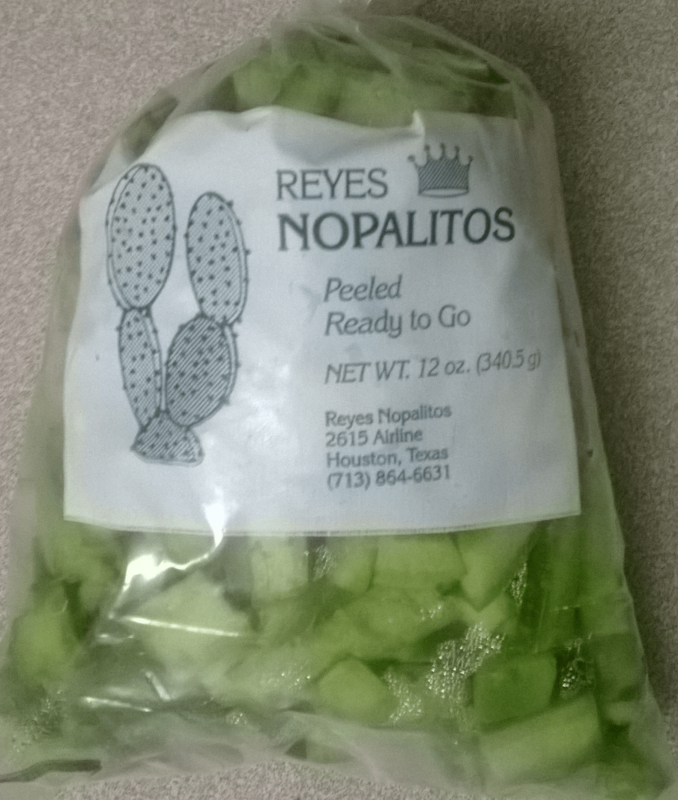 When I went to the store, the nopale pads were all spoiled and sprouting gray hair, so I skipped those and bought some “nopalitos,” or pre-cleaned, precut nopales. No prickly sticklies! I figured I did so well with those, I might as well wing it with the chayote, as well. I sliced them down the middle, then into slices about a quarter of an inch thick – similar to what I’d have done with zucchini. They’re all “squash,” right? Then I tossed the chayote with the nopalitos and some raw onion, a bit of sea salt, freshly ground black pepper, thyme, and olive oil. Then I threw it all on the griddle… Seriously, I haven’t cooked on the stove or in the oven since I finally got that $10 griddle out of the closet and tried it. It’s a culinary miracle, it is. Next time, I’d probably do it in a large pan or wok, so that I could more easily turn and sauté the slices – or steam them a little – but as you can see from the photo, it turned out just fine. Apparently, you’re supposed to remove the seed, but I didn’t even notice a “seed,” just an area in the center that was somewhat lighter in color.Ooops. I don’t think it’s necessary to peel the chayote, either, although some instructions suggest that – and even suggest wearing gloves to avoid getting any of the juice on your hands. I didn’t notice that, either. I think it would be a waste of gloves, unless maybe you’re prepping chayote and nopales for a small army, and are feeling particularly delicate. 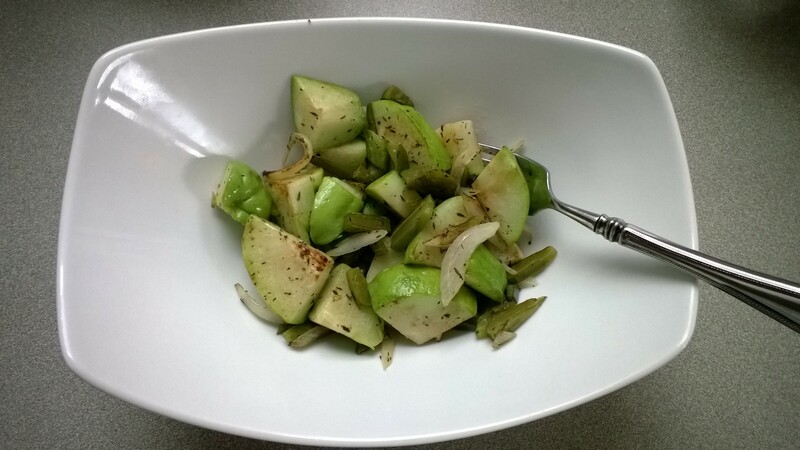 The chayote has a mild flavor and a nice crispness to it, even after cooking. The nopalitos, even without a splash of lemon juice or lemongrass, were slightly tart and tasty. It made for an excellent lunch.